There’s no better way to celebrate International Coffee Day than with a smooth, rich, indulgent coffee –and there’s no better way to make that coffee, than with French Press brewing. Fresh Press creates a full-bodied brew that is richer and more flavourful than most other methods, which makes it a favourite among coffee connoisseurs (and us too). The secret to a great cup of French Press coffee is really, really fresh beans and expert tips from RAW Coffee Company. 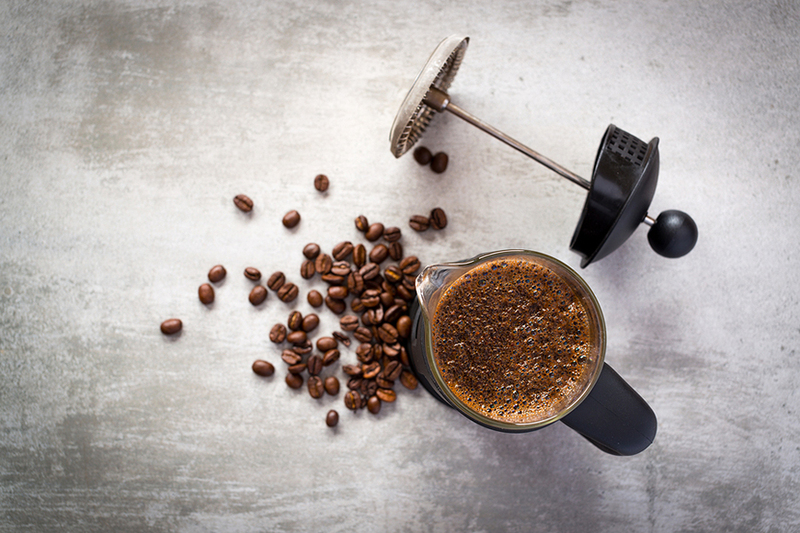 That’s why RAW has given us their hush-hush French Press brewing recipe, so EW readers can create a gourmet cup of coffee with ease –it’s totally worth waking up a few minutes earlier to make! So before you take the plunge, follow these basic steps to ensure you’re making the best French Press coffee there is. Add 60 grams of coffee per litre of water. Preheat the press with hot water so you don’t lose any heat when brewing. Use the water just off boiling and pour over the grounds, making sure they all get saturated. Thoroughly stir, preferably with a wooden stirrer. Let it steep for 4 minutes. Plunge! TIP: It should be easy to depress, if there is resistance then stop, lift slightly and press again. Pour all the coffee out of the French Press, if left in there it will keep brewing and stew.